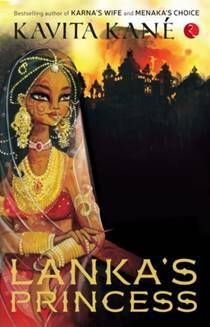 Lanka’s Princess is about Surpanakha, also called Lanka’s princess. Surpanakha means hard as nails. The youngest and the least cared for in her family, she is the sister of the mighty Ravan. Ravan is an asura and the villain of the great epic the Ramayana. The first opinion that forms in your head, if you have read the Ramayana, is that Surpanakha is an evil shape-shifting monster. She had tried to kill Sita, but had her nose and ears sliced of by Lakshmana, brother of Ram. If you are hearing about the Ramayana for the first time, then after reading this, you too would have formed a bad opinion about her. However, instead of just imagining a shape-shifting witch, try to think from Surpanakha’s point of view. I did this and a question came to my mind. Was Surpanakha evil from the start or did she turn evil later? I read this book and got my answer. The author, Kavita Kane, has tried to sympathize with Surpanakha while being fair to Ram and Lakshman. In this way she has shown both sides of the story. She has succeeded in doing so. I, as a kid, think the book could have done well without the overwhelming romance between Surpanakha and Vidyujiva (Surpanakha’s husband). Others might find this important or interesting, but I didn’t care much. In the book, Kavita Kane describes the small and trivial, yet important events in Surpanakha’s life that has not been written in the different versions of the Ramayana. She has described most of the story from Surpanakha’s eyes, concentrating on her emotions. It has been a nice experience reading this book. This is one of my favourite Indian books. I learnt a lot about a little-known character through this book. I have also reviewed it on my blog, so you can go there for more information on this book. © 2018, Anika Agarwal. All rights reserved.